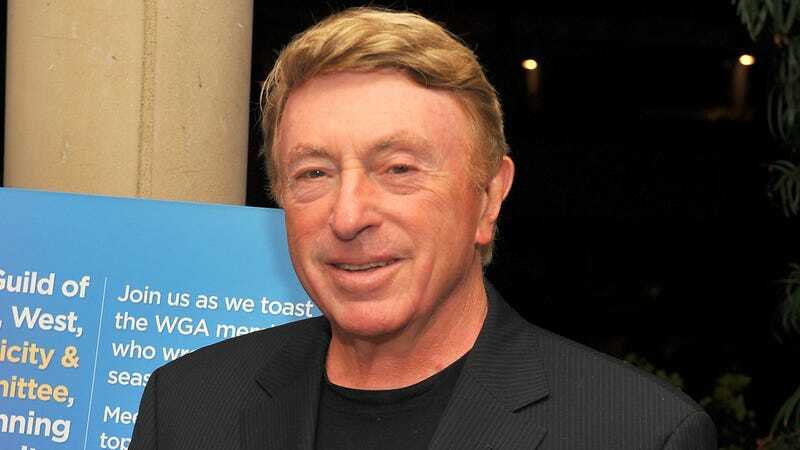 As reported by Bloody Disgusting, iconic horror and sci-fi filmmaker Larry Cohen—the director behind memorable cult classics like Q, It’s Alive, God Told Me To, and The Stuff, not to mention the screenwriter behind Maniac Cop and Phone Booth—has died. On Facebook, the team behind the documentary King Cohen noted that the director’s “unparalleled talents were surpassed only by his giant heart,” adding, “the impact he made on television and cinema will be felt forever.” Cohen was 77. Though Cohen got his start writing for television in the ‘60s, primarily on crime dramas like The Defenders and The Fugitive (or The Invaders, which Cohen created), he eventually found his true calling in the next decade with a string with a run of quietly clever low-budget horror movies. Films like It’s Alive and God Told Me To were originally dismissed by critics and audiences, but the way Cohen managed to thread interesting comments on social issues into his scary sci-fi stories eventually caught on, leading to his films getting reappraised by more appreciative viewers and allowing them to quickly develop a cult status. Cohen also made a number of well-regarded blaxploitation films, addressing issues like racism head-on. It’s Alive, for instance, presents itself as a movie about a mutant baby on a killing spree, but it’s actually a commentary on the way ‘70s society mistreated children and the dangers of overuse of prescription drugs—not to mention the fact that the sequels lean on the idea that the government is trying to kill all of the mutant babies even as their parents realize that they still deserve love and support. Then there’s Cohen’s The Stuff from 1985, in which a sweet creamy substance is found bubbling up from the ground, leading to a company immediately packaging it up and selling it as a delicious ice cream alternative. The eponymous stuff turns out to be a wildly addictive alien parasite of some sort that devours hosts from the inside out, but who cares as long as someone can make money off of it? That one in particular will probably always be relevant, and that sort of awareness helped elevate Cohen’s work of the era beyond some of his low-budget horror contemporaries. In more recent years, Cohen moved away from directing horror to focus on screenwriting. He returned to his crime drama roots in a way for Phone Booth, the well-regarded Joel Schumacher movie in which Colin Farrell has to navigate a tense situation with a sniper over a public phone. He also officially received a well-deserved honor alongside filmmakers like John Carpenter, Tobe Hooper, and Takashi Miike when he became one of the eponymous Masters Of Horror for Mick Garris’ Showtime anthology series. Cohen directed the episode “Pick Me Up,” which aired in 2006 and centered on a pair of arguing serial killers.